AFTER five successful years at the helm, Yorkshire’s first-team coach, Jason Gillespie, this week revealed he would be leaving the club at the end of this season. During his time at Headingley, he has overseen a period of tremendous success for the club, inheriting a team that had been relegated to Division Two of the County Championship before transforming them into an outfit capable of earning promotion back to the top tier at the first time of asking. After finishing second in their first year back in Division One - pipped to the title they hadn’t won since in 2001 by Durham – they returned to the top of the tree two years in succession. 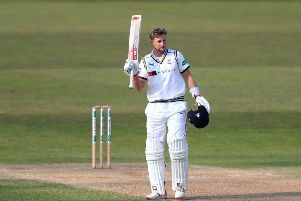 Now, with four games remaining Yorkshire are still well-placed to make it three titles in a row and send Gillespie back home to South Australia on a perfect high. The YP’s Chris Waters joins host Phil Harrison to discuss Gillespie’s departure, as well as reflecting on his time at the club and how his exit on Yorkshire CCC will impact on the club going forward.